Third-party vendors such as GrubHub, Eat24, etc. 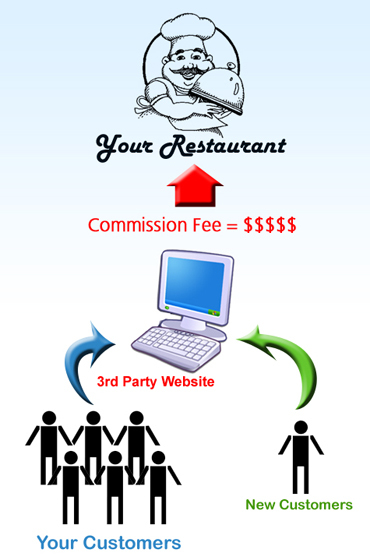 promise to bring you incremental business in return for a hefty commission. The truth is, almost all of the business they bring is from your existing customers who want to order online.Why pay a commission to receive orders from your own customers?! You can continue to work with 3rd-party vendors but now you will only pay for incremental business, not for business from your own customers. which can add up to hundreds of dollars per month. you only pay for new customers. 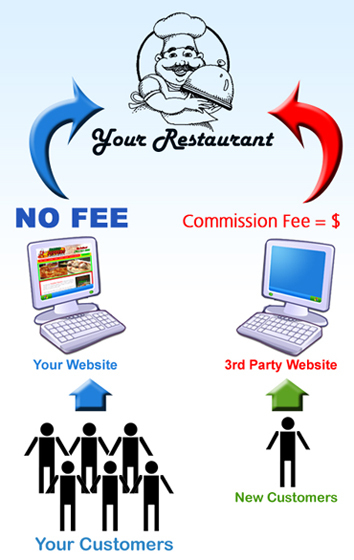 Existing customers pay directly to you.